Ocala, Florida — Symphony Healthcare, Inc., located at 2100 SE 17th Street, Suite 901, Ocala, is now offering back to school and sports physicals for $30.00. They are also offering an optional screening/preventative electrocardiogram (EKG) for $25.00. 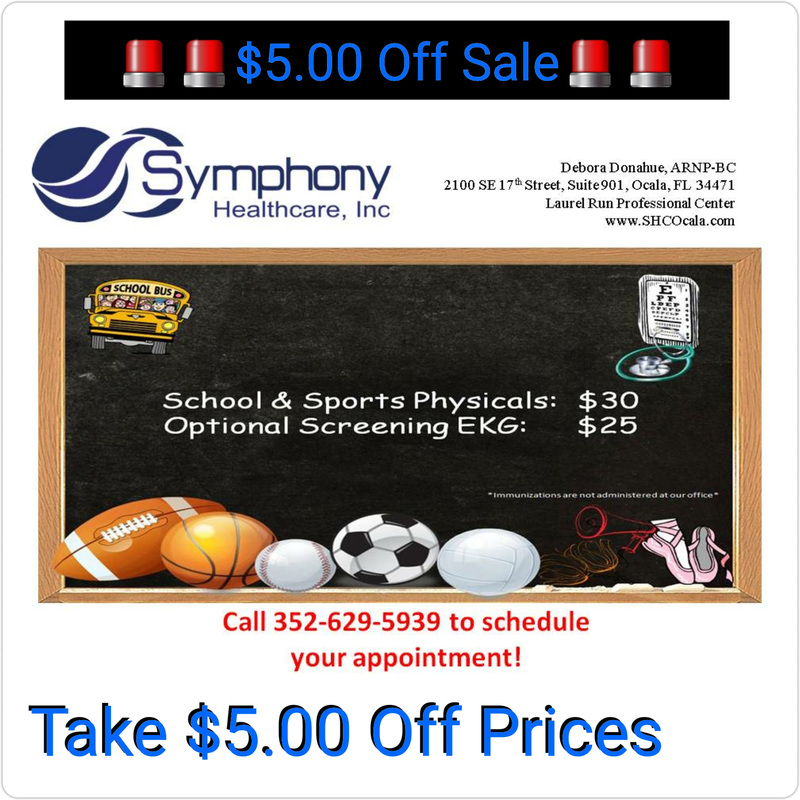 Mention this article and receive $5.00 off these services. Click here to print. Don’t wait until the last minute: schedule your appointment today by calling 352-629-5939. 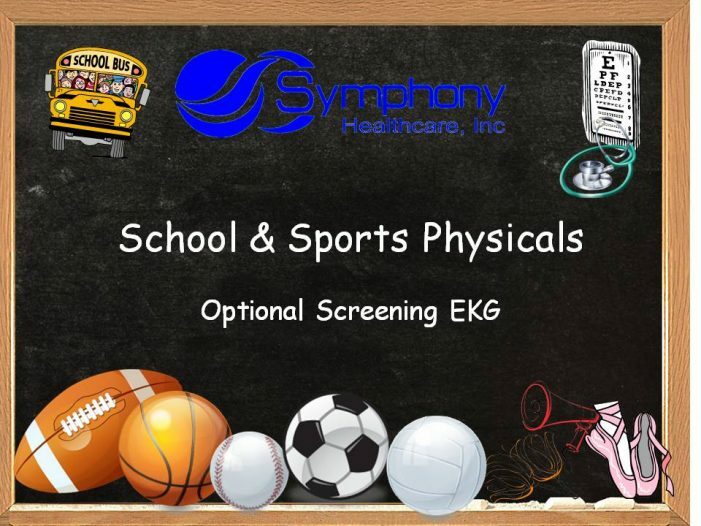 To learn more about Symphony Healthcare, Inc. visit www.SHCOcala.com.